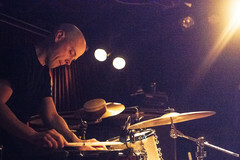 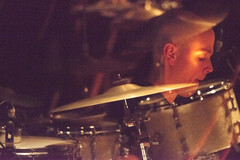 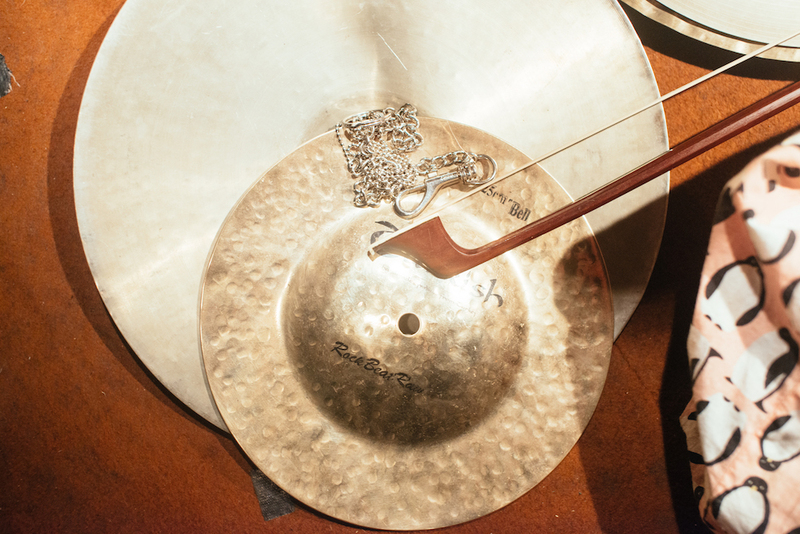 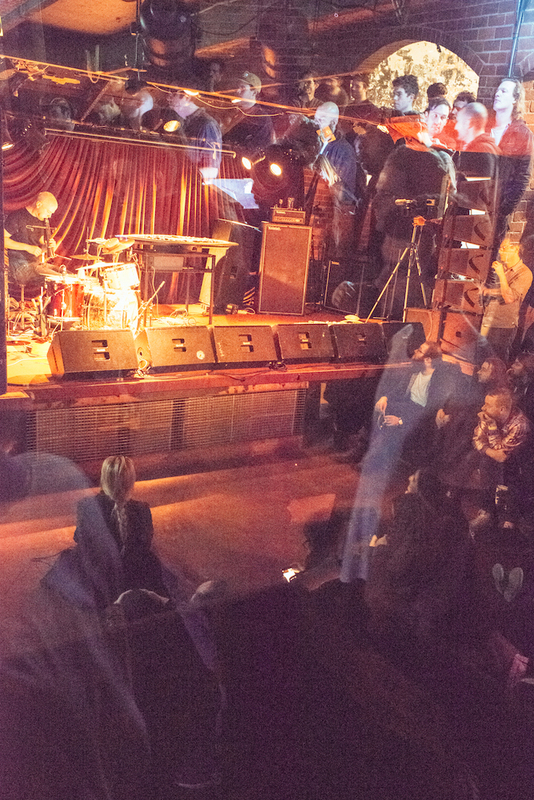 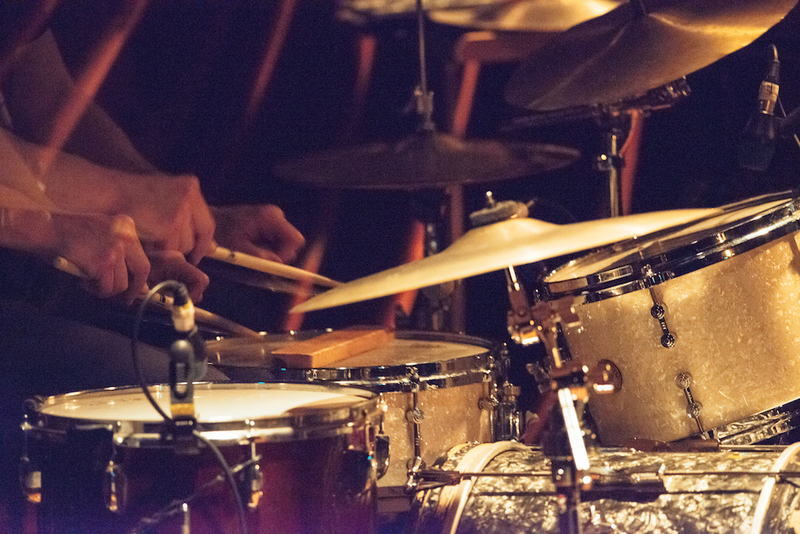 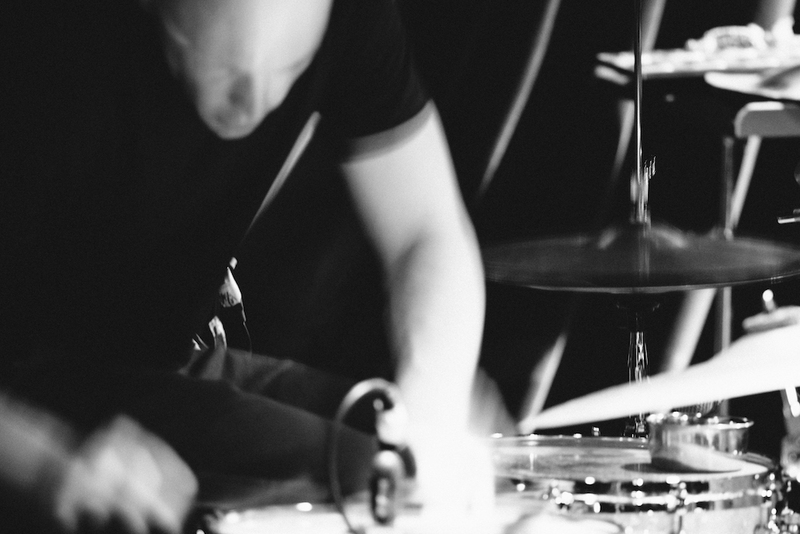 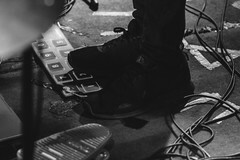 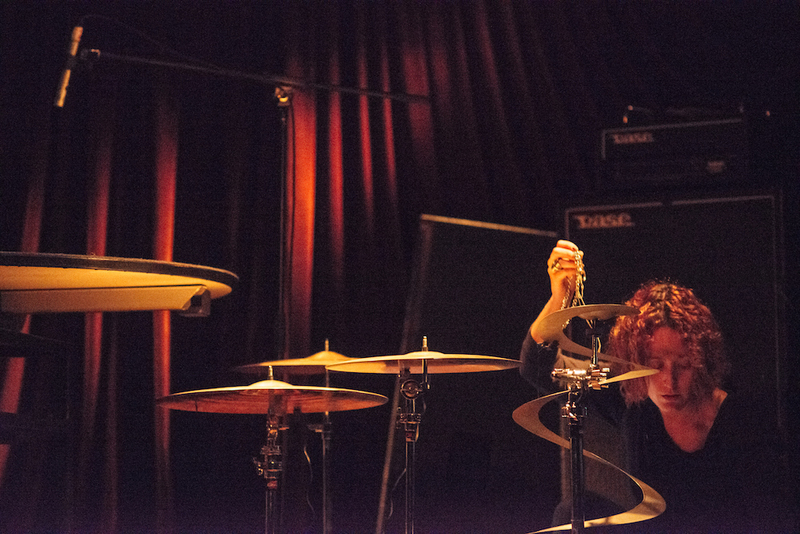 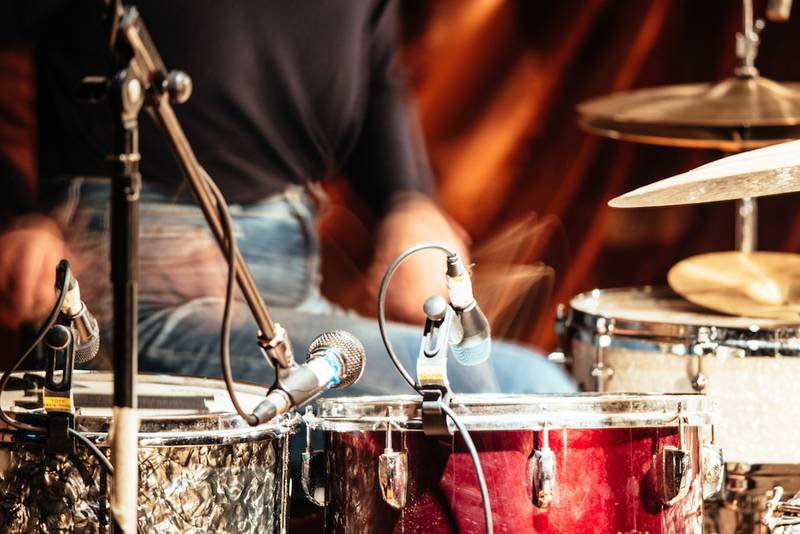 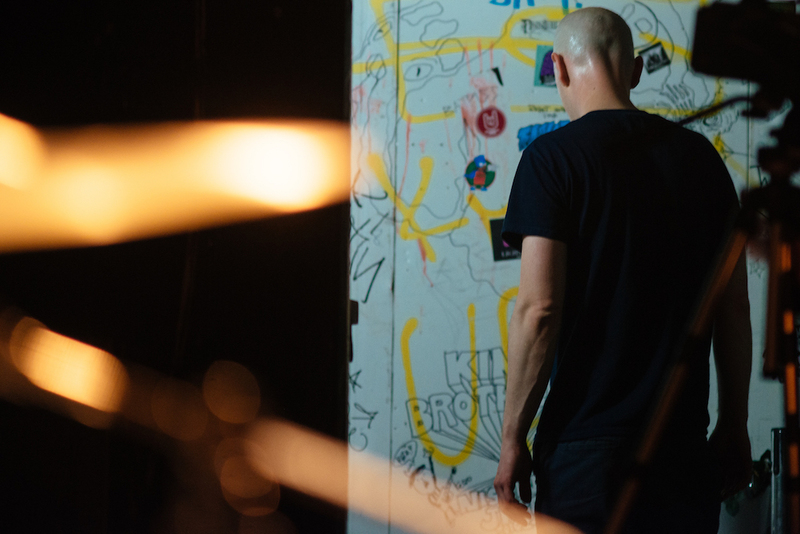 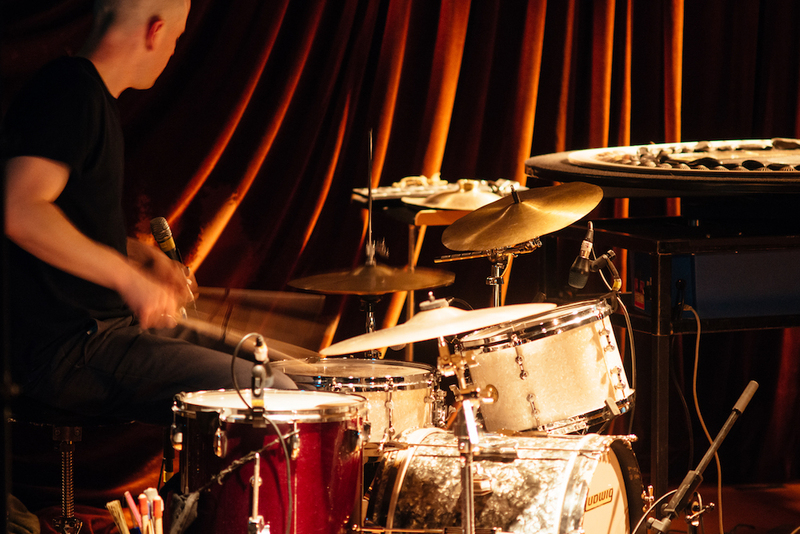 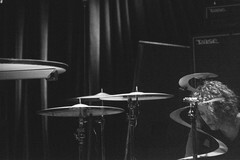 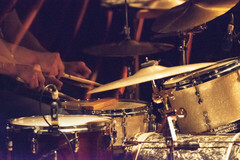 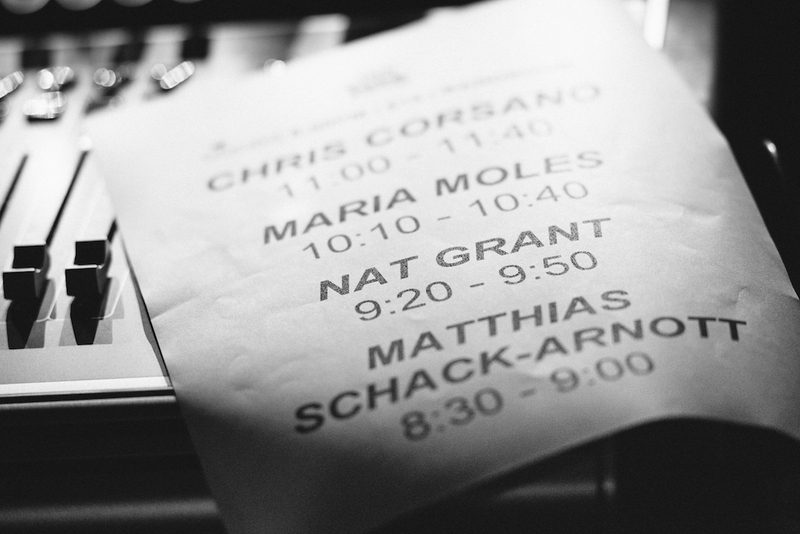 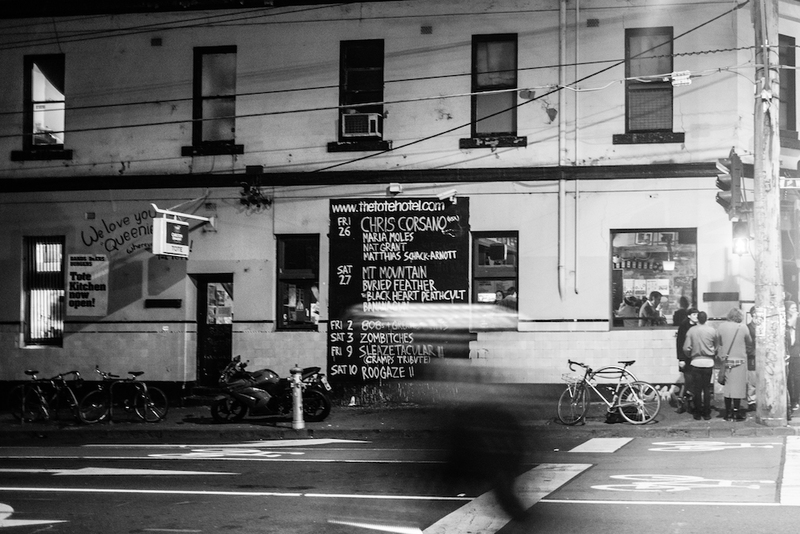 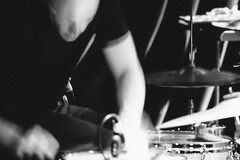 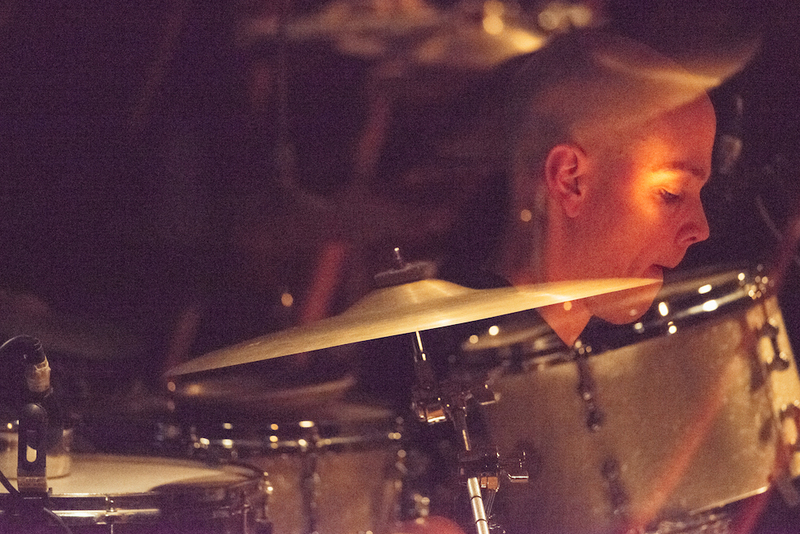 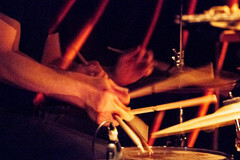 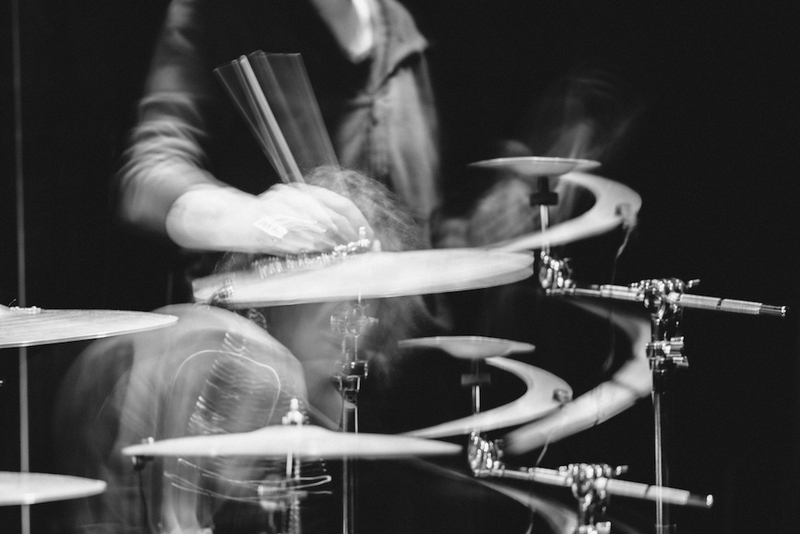 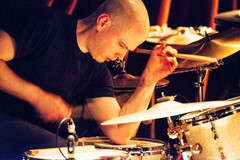 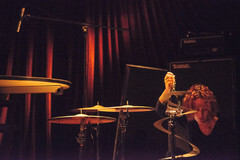 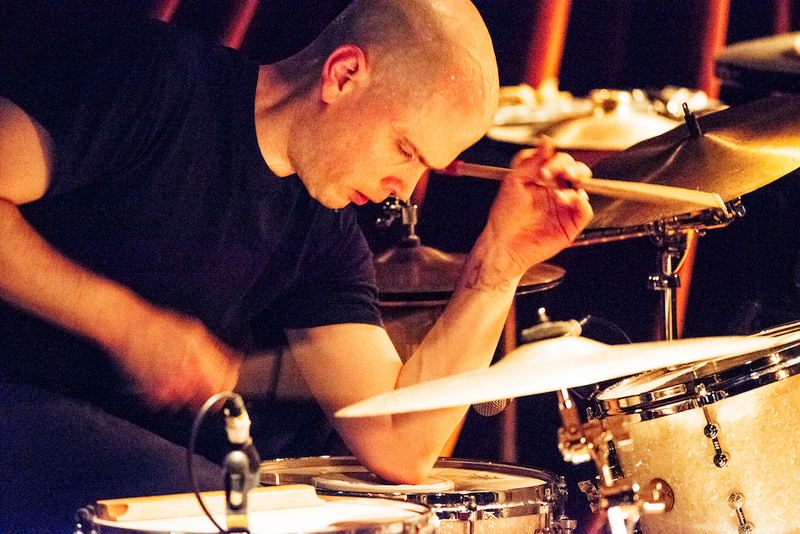 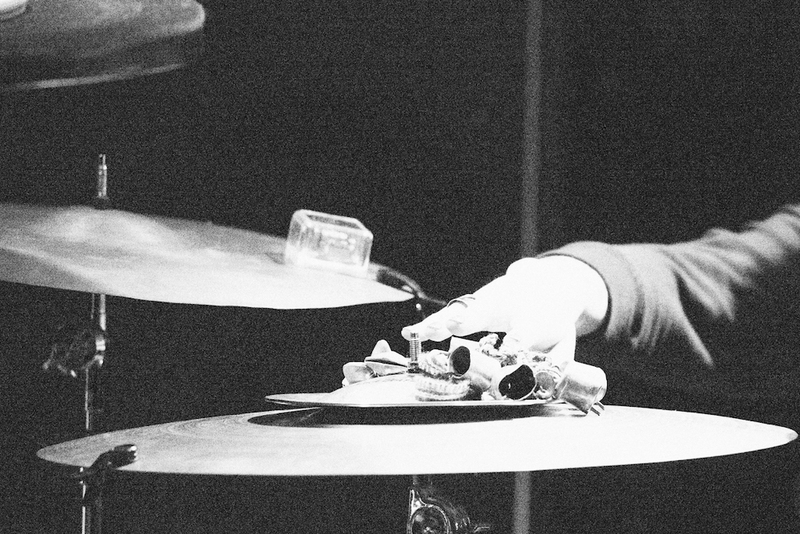 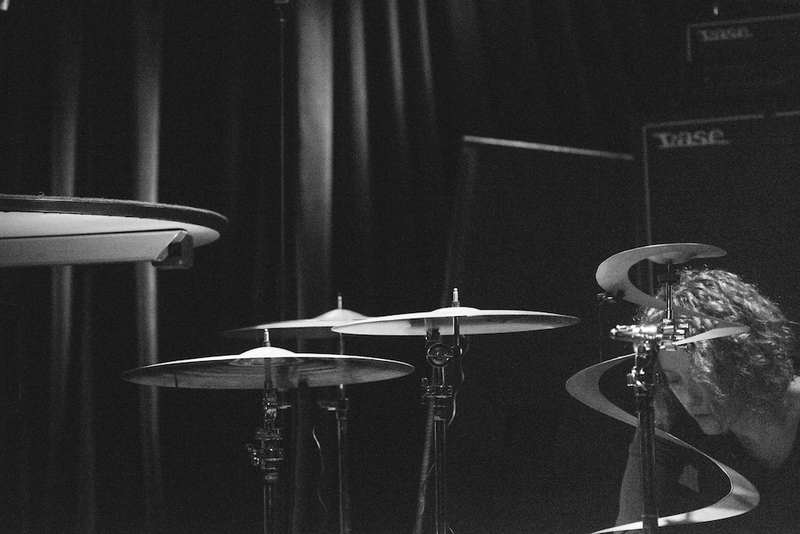 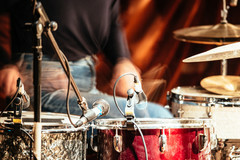 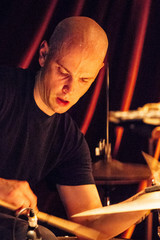 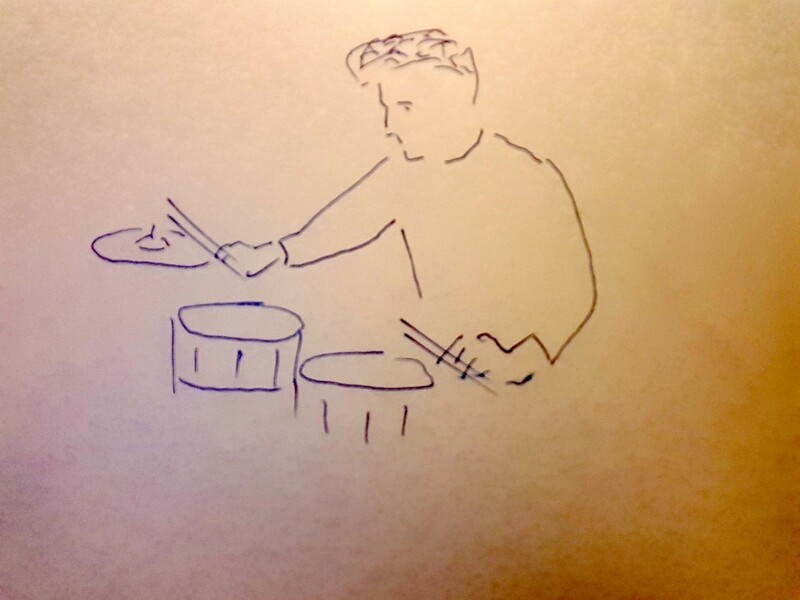 American Chris Corsano - one of the best drummers on the planet - has been working at the intersections of collective improvisation, free jazz, avant-rock, and noise music since the late 1990′s. 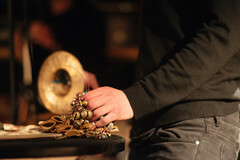 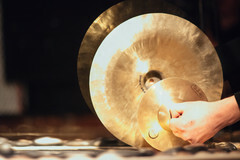 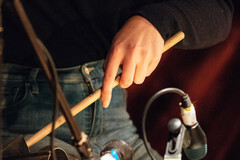 Collaborators include Björk, Evan Parker, Virginia Genta, C. Spencer Yeh, and Jandek. 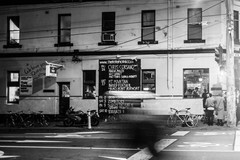 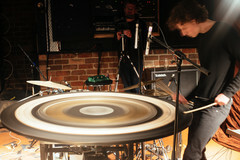 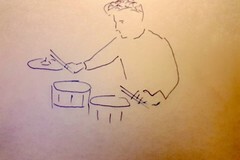 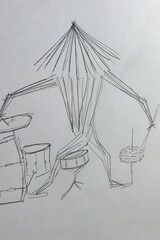 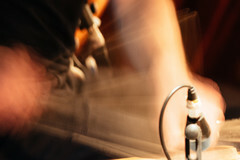 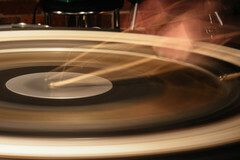 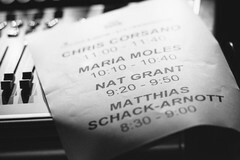 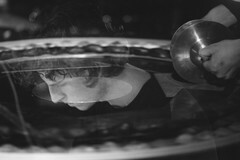 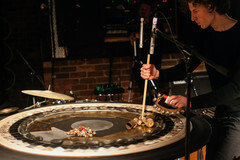 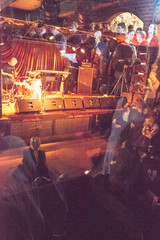 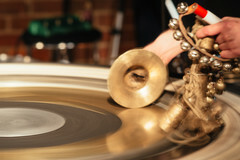 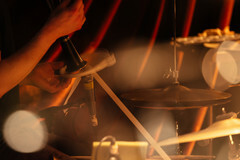 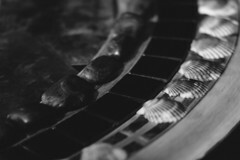 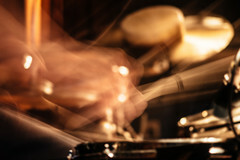 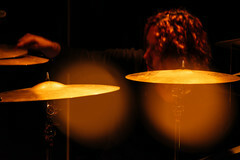 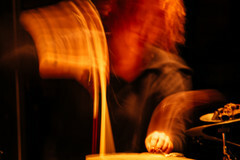 Nat Grant is a percussionist, sound artist, composer and educator from Melbourne, Australia. 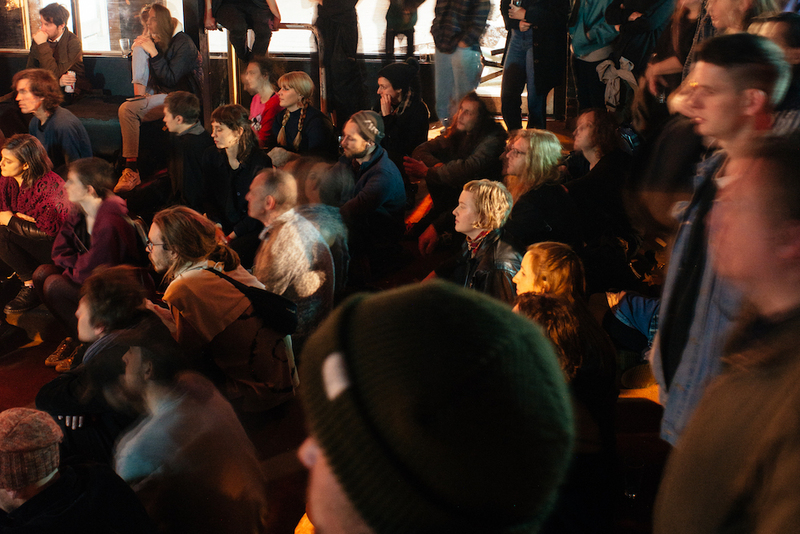 She often brings together electronic processing and sampling with acoustic instruments and sound recordings, to create cumulative works that link consciousness and memory, allowing interaction between human and natural environments, and between audience and performer. 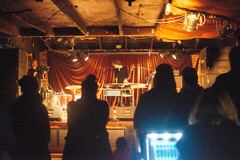 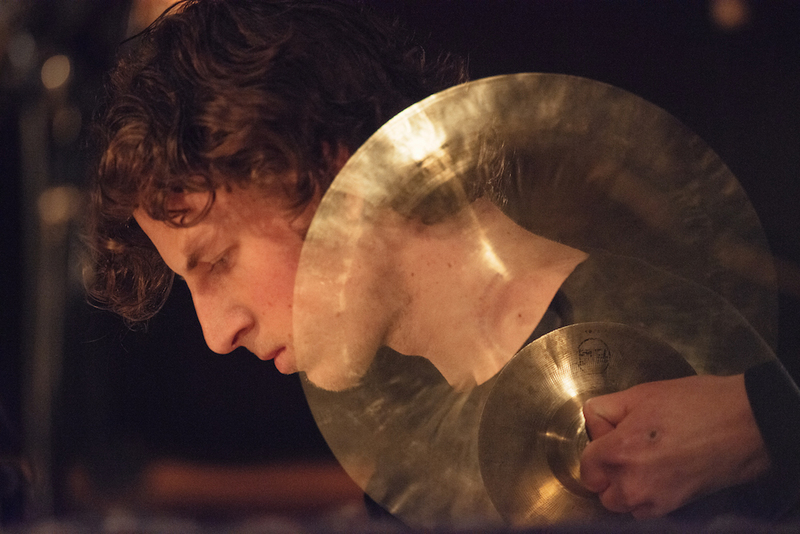 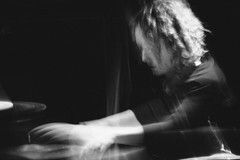 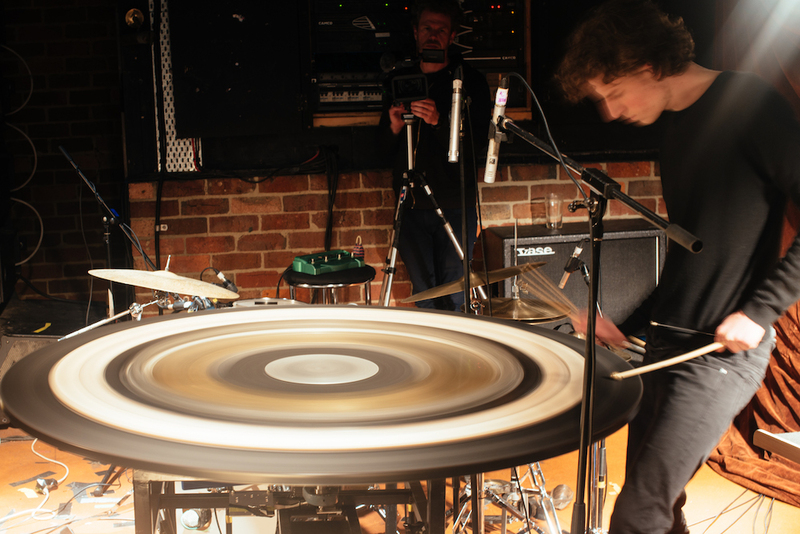 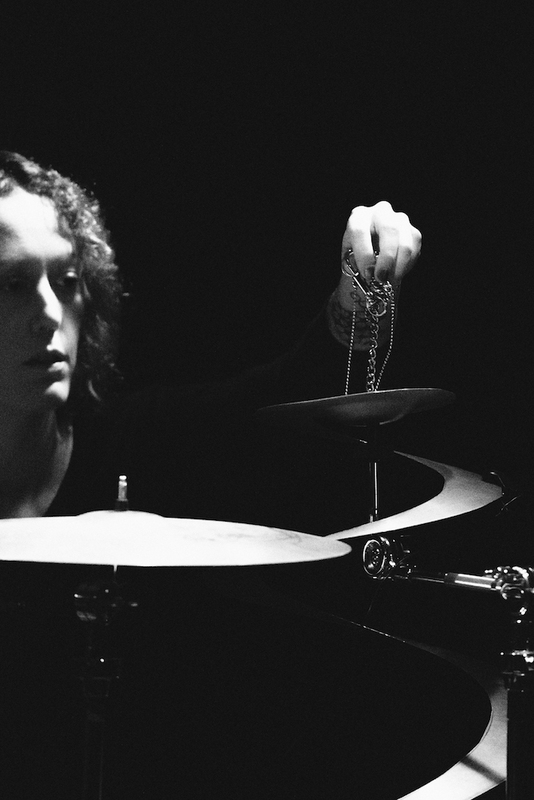 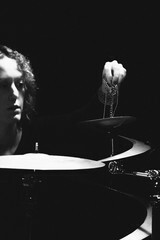 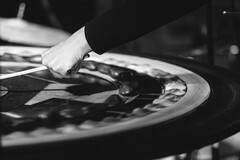 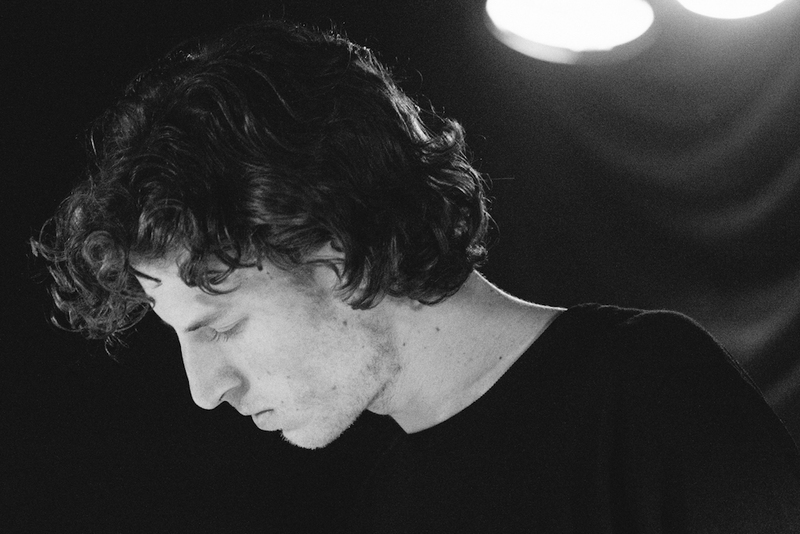 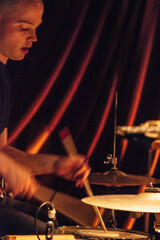 Matthias Schack-Arnott is a Melbourne based percussive artist working in contemporary classical and exploratory musics as a performer, composer and improvisor. 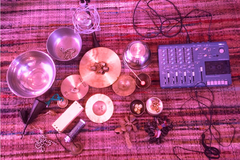 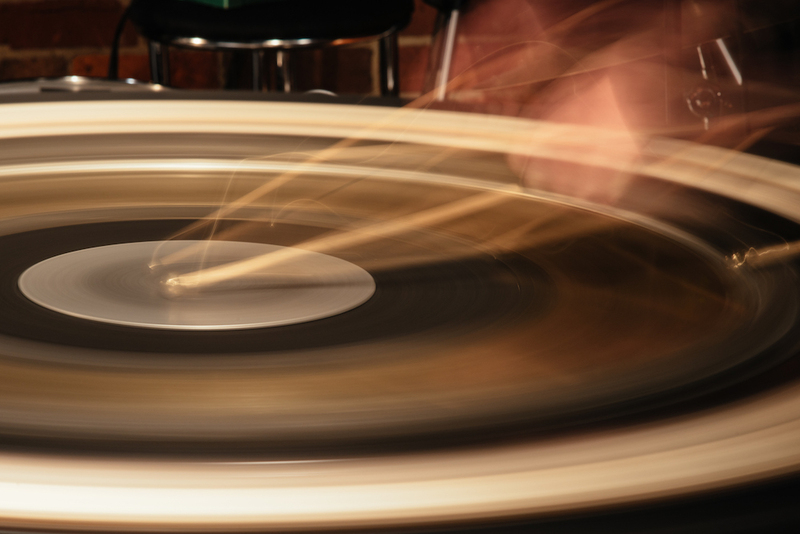 On this night he’ll perform using a spinning percussion set-up to kinetically explore cycles, orbits and the perception of time via colliding objects. 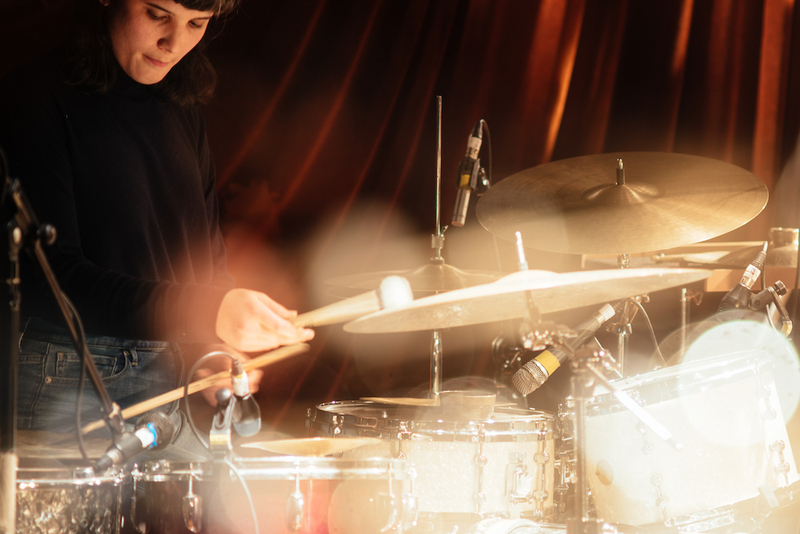 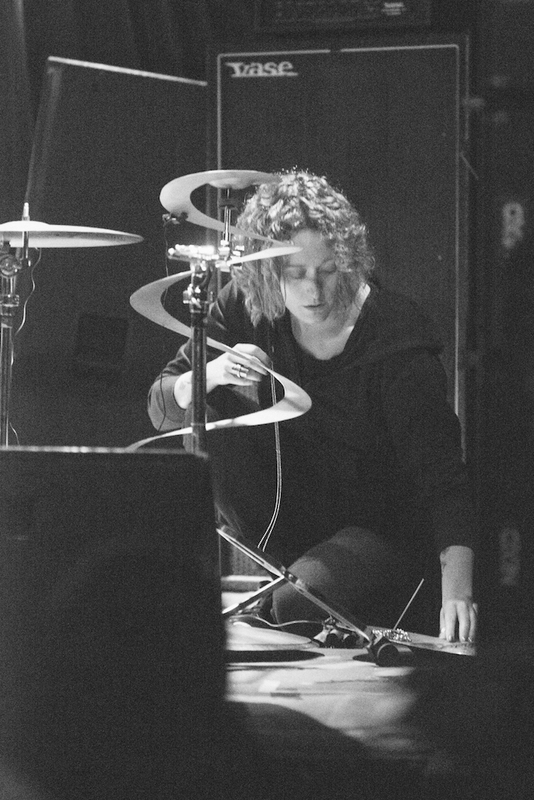 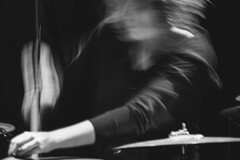 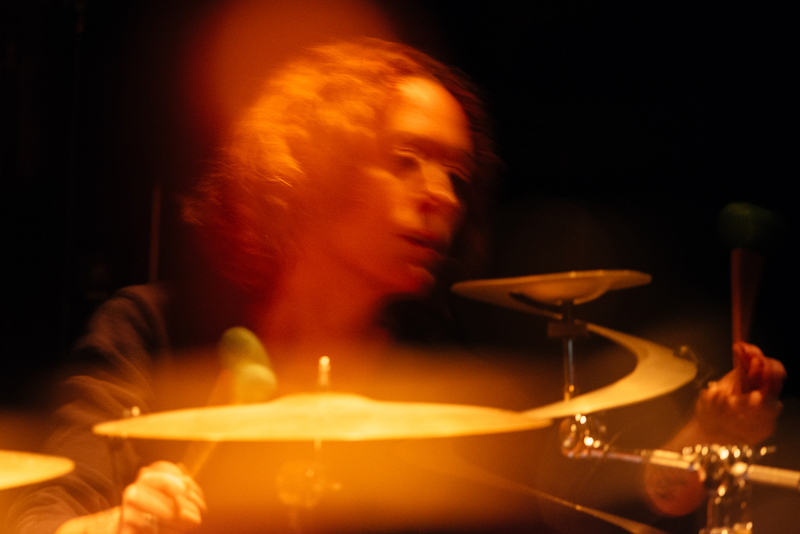 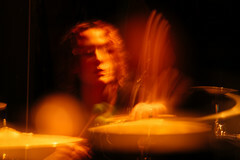 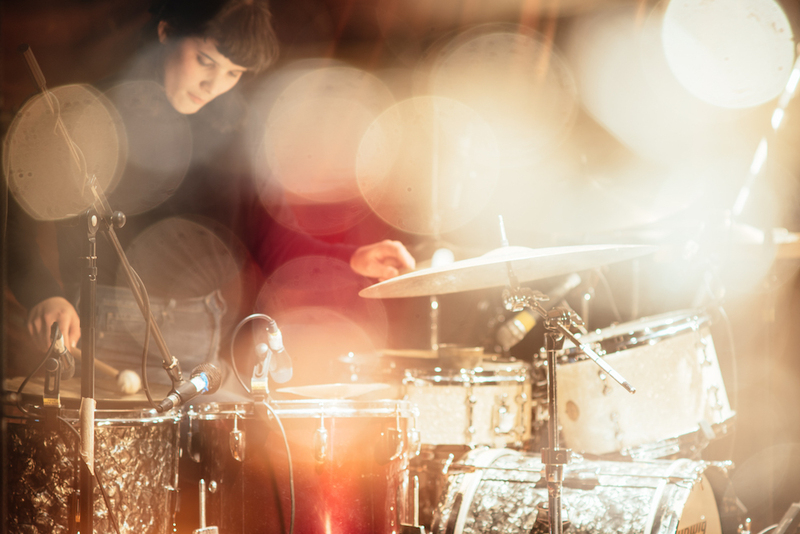 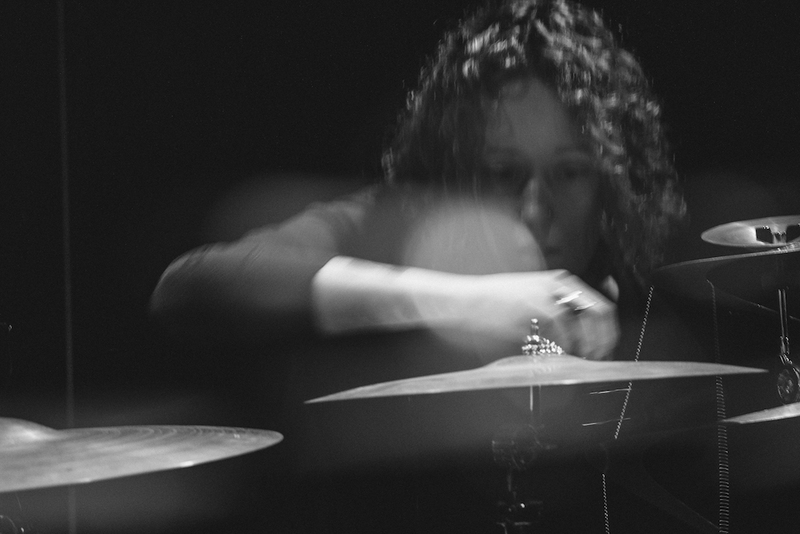 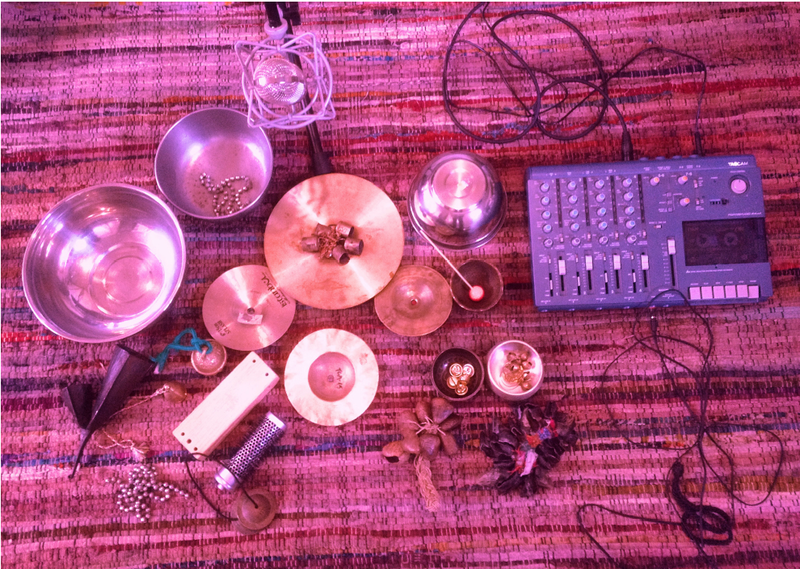 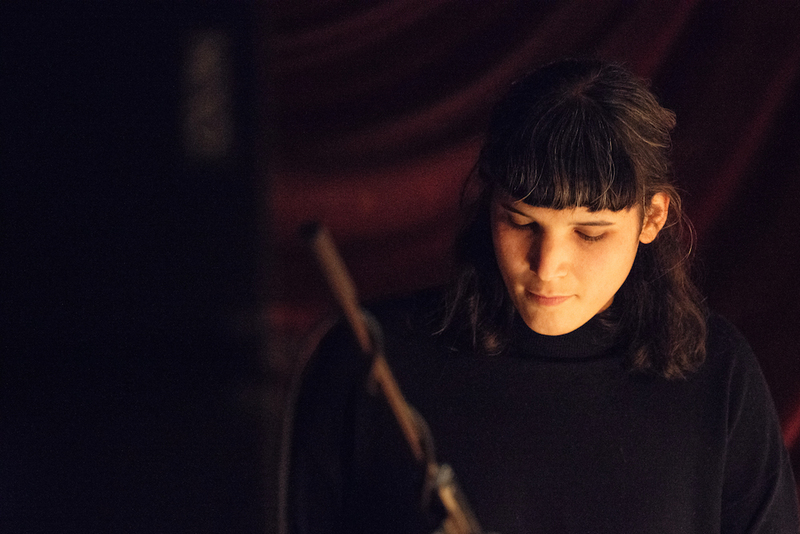 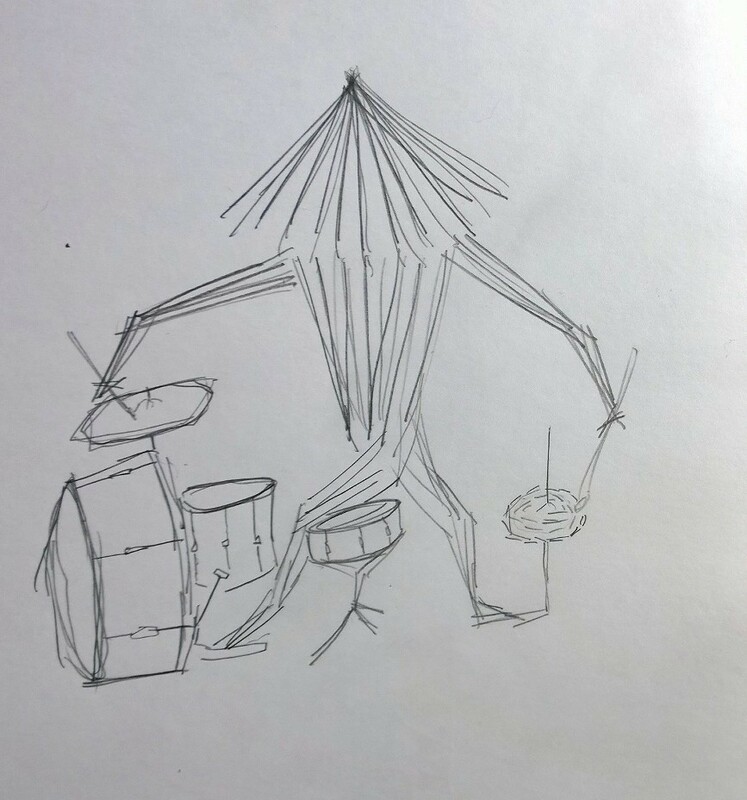 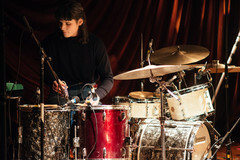 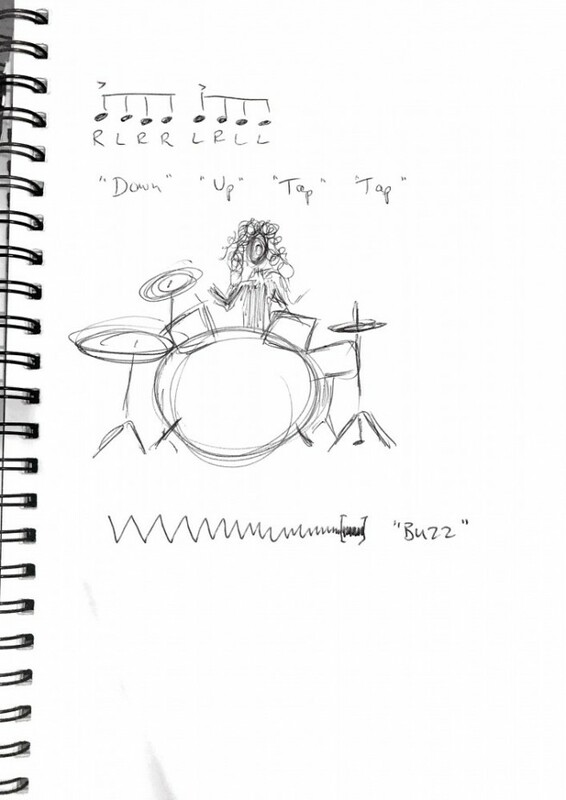 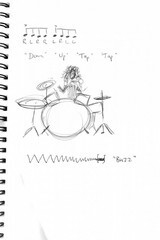 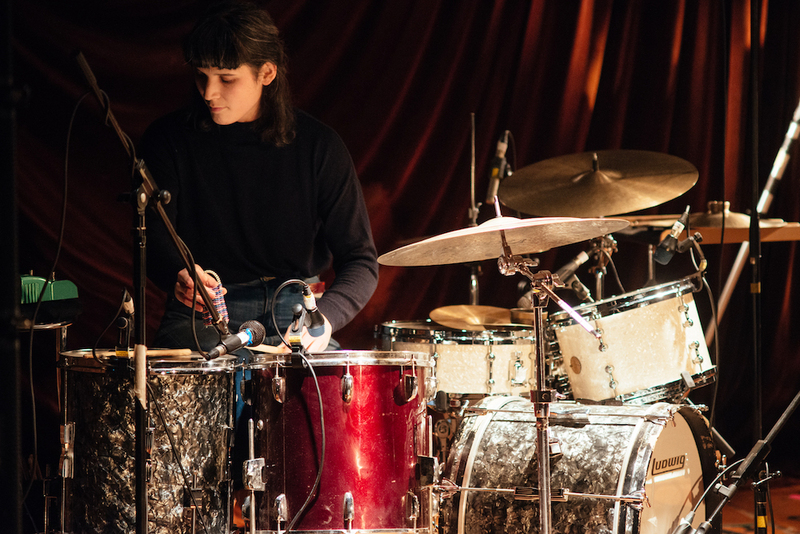 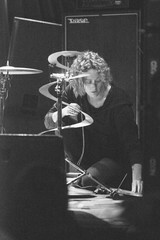 Maria Moles is a drummer, producer and educator based in Melbourne, Australia who performs experimental improvised music built from electronic manipulation of rhythmic structures played on the drum set, with the aim of producing transcendental listening situations and dense sound worlds.